Welcome to All About Air Purifiers. 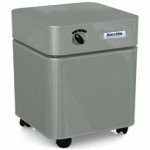 This is your one stop website to find out everything you need to know about air cleaners. Do you have trouble breathing? 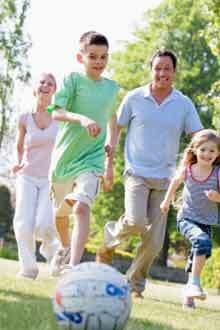 Do your children have asthma or allergies? We want to help you have a happy AND family. We don't want allergies or asthma to slow you down. It's hard to believe but the air inside your house can be worse for your health than the air outside is. According to the EPA it can be 5 times more polluted than outside air. This means you will breathe better outside than inside. You need to do something to ensure you are breathing clean air inside. An air purifier can help you. A good one will remove pollutants and other particles from the air. Asthma and allergy triggers will be no more. You will be able to breathe better. YOU will be able to get a good night's sleep! Which is the Best ONE for ME? That depends on why you need it. Is it for allergies or asthma? Is it to remove dust? Do you have Multiple Chemical Sensitivity? Each of these people will need an air purifier to do different things. We provide you expert reviews of biggest names along with the lesser known ones. You'll find reviews here of products from Honeywell, IQair, Austin Air, Blueair, and many, many more. We provide you with easy to understand and simple information. We try not to be too "sciency." (We just made that word up.) We want you to understand our reviews. You are preparing to make a large investment and we want to provide you with all the tools and information you need to choose the perfect air purifier for you. So, What's in a review? Owning and using an air cleaner is just one step, an important step, in improving the quality of air in your house. You need to find the sources of pollution and air particles. Then you need to remove them as best you can. We provide you articles about different kinds of particles in the air. We will give you great ideas about removing indoor air pollutants. We cover topics from asthma triggers to VOCs. All this can get very confusing in just a short time. Before you know it you don't know which way to turn. That's OK.
Let us do the hard work for you. Please don't rush. Let us help you make the right choice. Our aim is to provide you with everything you need to choose the best air purifier for YOUR family. An Air Oasis air purifier promises to quietly clean the air in your room. Can it do it? Alen air purifiers are a great line of air purifiers that will meet your every need. These air purifiers will help people with allergies, chemical sensitivities, and asthma. Do you suffer from allergies? Is your home full of dangerous chemical vapors? Read about how Austin air purifiers can help to get rid of these air pollutants and more. A Blueair air purifier uses HEPAsilent technology to clean the air of particles that could irritate your lungs. Hunter air cleaners and purifiers use true HEPA filters to rid your house of harmful pollutants. We have seen the advertisement for Ionic Pro air purifiers. They promise so much, but do they really work? IQ Air purifiers are one of the best air purifiers money can buy. It is very quiet and incredibly efficient. Read more to find out how this remarkable air cleaner can help you. How do you choose the right Honeywell Air PUrifier? The reviews on these pages will show you how to pick the right air cleaner for you. It doesn't matter what you suffer from. You have read all the hype about the living air ionizer. Does it really work? Is it worth it? Is it just a MLM scam? We have seen Oreck air purifiers on TV. They are advertised everywhere. Are they worth it? Do they really work? Find out here. A name we all trust, Whirlpool. They make great appliances. Now they also make Whispure Air Purifiers. How do these air cleaners stack up? Let's find out. Have you heard of a home air purifier system? Yes they exist. One air cleaner for your entire house. Do they work as well as a room filter? Find out! What is a ion air purifier? Do they really work? Find reviews of the top models here. The Austin Healthmate air purifier is one of the best air filters on the market today. It provides great removal of air polluntants and requires very little maintenance. Read more here. The Blueair 403 air purifier use HEPAsilent technology to get rid of all the junk in the air. It cleans a medium size room and does it quietly. The IQ Air Healthpro gives you all the benefits of the Healthpro Plus just in a smaller package. The Hyper HEPA filters do an excellent job of cleaning the air. The IQAir Healthpro Compact is designed for people with allergies. This air purifier can filter out most all allergens. It provides excellent filtration of all particles in the air. What are CADR ratings? Why is this important? Can it help you to pick the correct air purifier? Read here to find out everything you need to know. This is the site map for this site. We hope it willl help you to find the page you are looking for. How do you know which type of air filter is best for your air purifier? Read our air filter reviews to find the best type of air filter. What is a HEPA filter? How can a HEPA filter change your life? If you suffer from red itchy eyes, a runny nose, a scratchy throat a HEPA filter might help you. 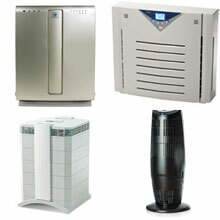 When shopping for an air purifier, you need to be aware of the total air purifier cost. What will you really have to pay for? How much will it really cost you? Find out here. What do you need to know before you buy air purifiers? Do you even know what questions to ask? Read this air purifier buying guide to find out everything you should know. 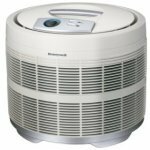 The Friedrich c 90a air purifier is an electrostatic air purifier designed to clean the air in your house. How does it do it? We hope that you have enjoyed this website. Our purpose is to provide you with all the information you need about air purifiers. Many people have respiratory problems, asthma, or allergies. An air cleaner can help these people to enjoy life more. After reading these pages, you will be able to choose which machine will best meet your needs. If you have any questions or can't find the information you need, please don't hesitate to contact us. Your questions are important to us and we will answer each question as soon as possible. Would you like to share your knowledge about air purifier? Contribute to www.all-about-air-purifiers.com!